Westminster Bridge is painted green and the green matches the green of the seats in the House of Commons. Always a sense of history when I am here. 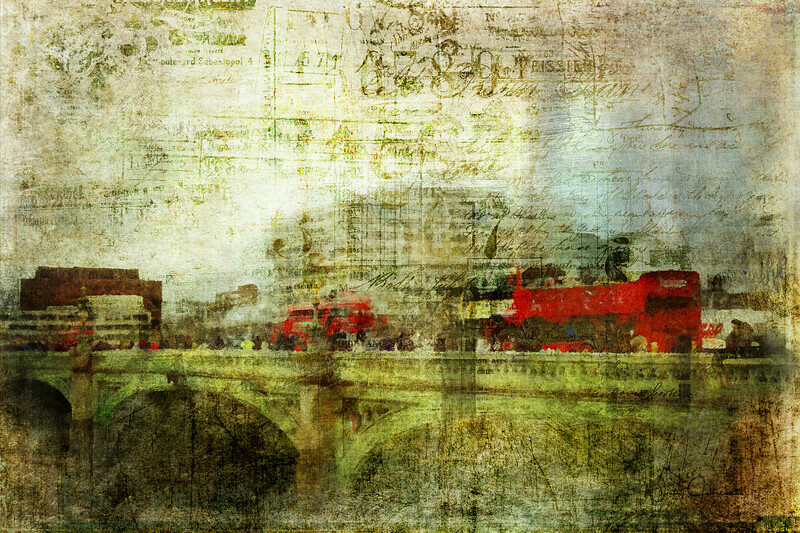 I made my fairly ordinary photo of Westminster Bridge into grungy vintage with textures and pops of red paint for the buses.